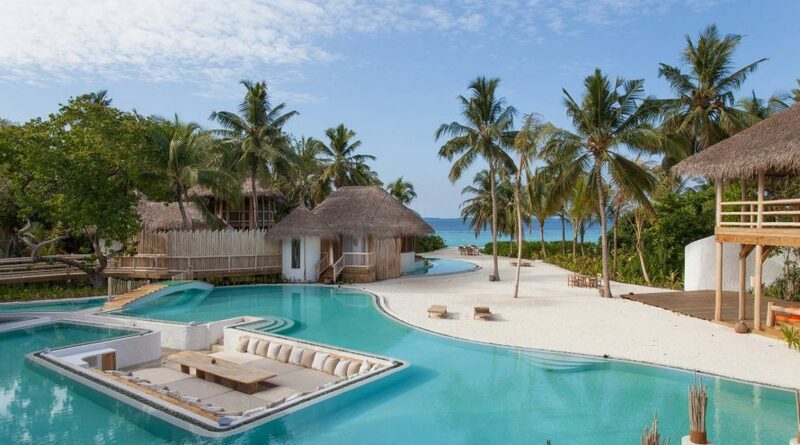 On a coral atoll and surrounded by lush jungle, this posh resort faces the Indian Ocean and is 6 km from the inhabited island of Maalhos. Sophisticated 1- to 9-bedroom thatched villas include TVs, iPod docks, minibars, living and dining rooms, open-air bathrooms and terraces. Upgraded villas add pools; private reserves add libraries and gyms. There’s in-room dining and a butler service. Wi-Fi is available upon request. There’s an observatory, an outdoor cinema, beach dining, boat trips and snorkeling, plus a spa, an outdoor pool and upscale dining options.